Note: This is the second part of my Thailand and Indonesia vacation. To read about my time in Thailand, click here. 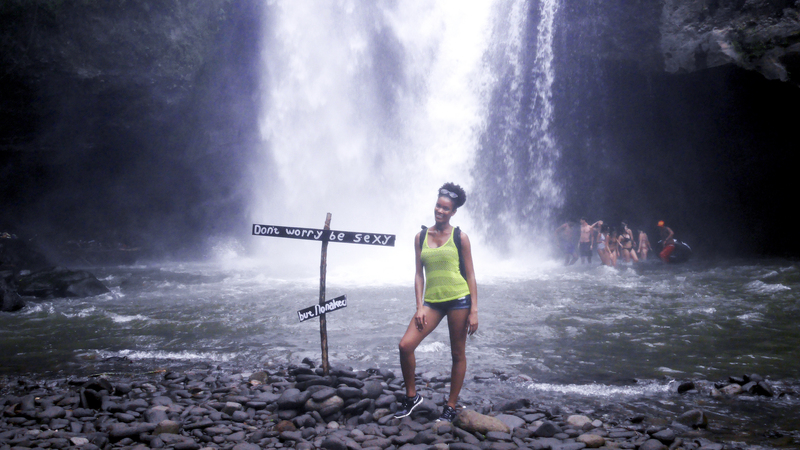 After spending a week in Thailand for Thanksgiving, my friend Enitan and I ventured to a country I’ve long wanted to visit, long before the hype created by the popular book and movie Eat, Love, Pray: Indonesia. 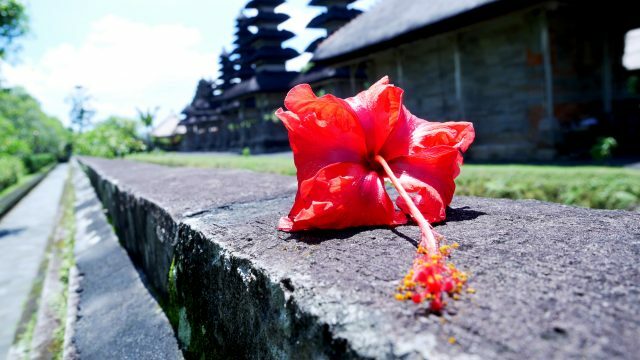 Bali was our destination, a tiny island and province in Indonesia, and although we only had two and a half days on the island, Bali quickly became one of my top destinations with its tranquility, overwhelming beauty, and kind people. We flew to Bali from Phuket and landed at night, with little time to do more than go to our hotel, check in, and grab dinner. The skies had just finished pouring their waters onto the lush green land, leaving the air heavy, hot, and humid. 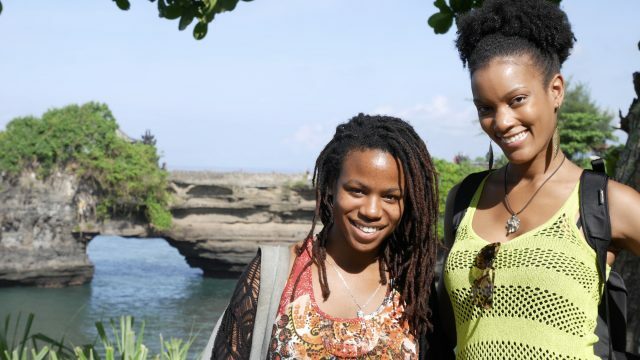 Our driver took us to our hotel, Courtyard Bali, and Enitan and I were surprised to see heightened levels of security at the hotel entrance, donned with a bag and body scanner that everyone had to go through before entering the hotel grounds. Apparently, there was a local bombing a few years back so our hotel didn’t want to take any chances with guest safety. It was very strange to see employees check underneath our taxi with a mirror to make sure there were no bombs or suspicious objects under the car, but I appreciated the security effort. After checking in, we went to a restaurant called Barbacoa that my friend Katie had recommended to me after her visit to Bali a few months prior. The food there was delicious and I ate what were probably the best fish tacos I’ve ever tasted. 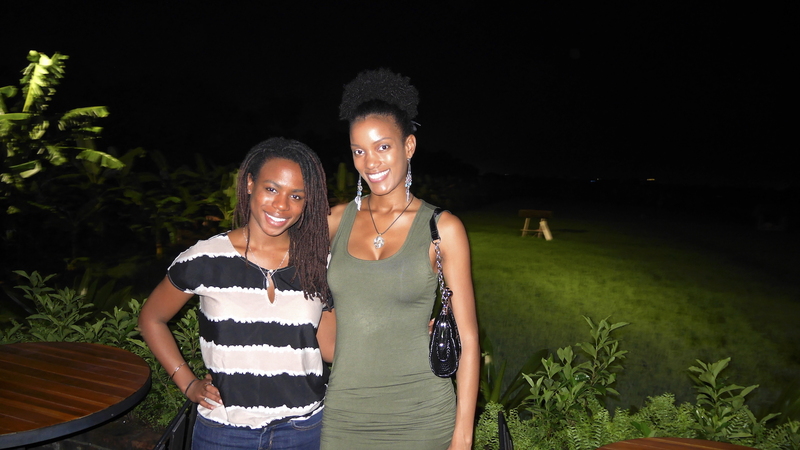 We had a beautiful view from the terrace and the music and overall ambiance of the place was great. After dinner, we were both tired so we turned in early to be well-rested for the next day with our private tour guide. Bright and early Saturday morning, we grabbed breakfast at the hotel and then met our private driver for the day in the lobby. I found this excellent tour on Viator (the website that I use to book the majority of all my travel tours) that allows you to create your own custom itinerary for 12 hours. A private driver takes you wherever you’d like to go on the island for $70 a day ($35 each for the two of us). 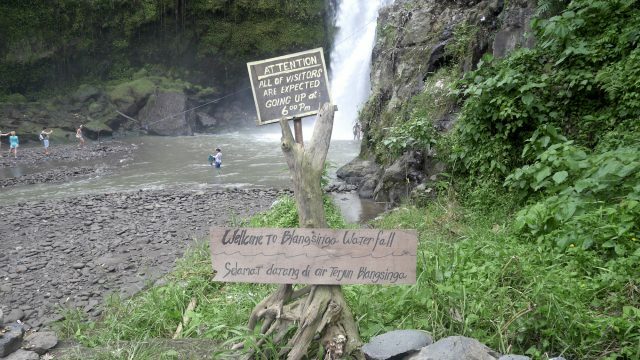 It was such an amazing deal and experience: no other tourists, no tour guides rushing us around, seeing only what we wanted to see, and taking our time at each destination. 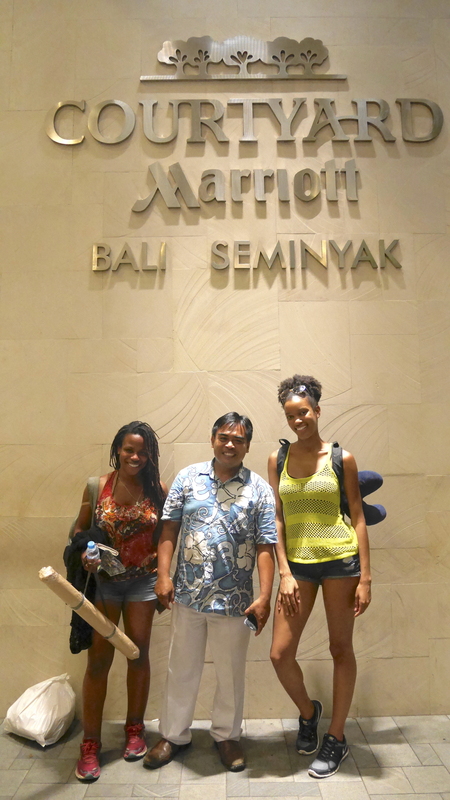 Our driver, Wayan Dika, was very nice and so knowledgeable about Bali and its culture. He told us that Wayan is a very common name and that if we shouted the name in a market, lots of men would likely turn around. 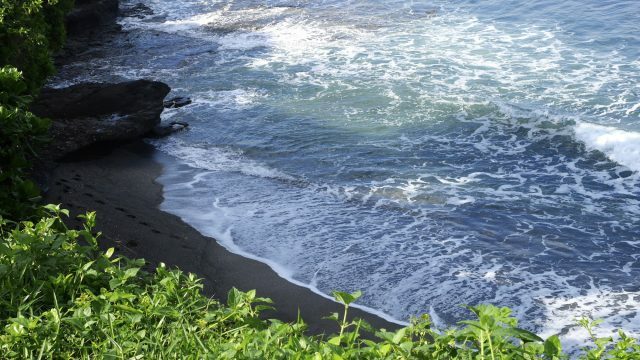 :) Bali has Bahasa Indonesia, which is an Indonesian language and the local Balinese language. Bali is mostly Hindu but all of Indonesia is mostly Muslim. Kids in Bali go to school 6 days a week, with Sundays off. Most homes have entrances that look similar to those found in the temples there. Temples have three parts: legs, body, and head. The body is for worship and the head is most sacred. 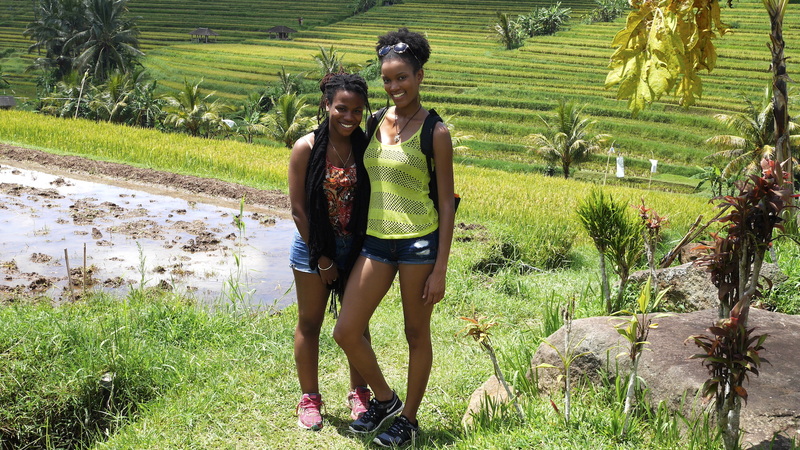 We started our tour of the island around 8 am, and I found that Bali reminds me a lot of Jamaica with tin roof huts and the abundance of trees and plants everywhere I looked. 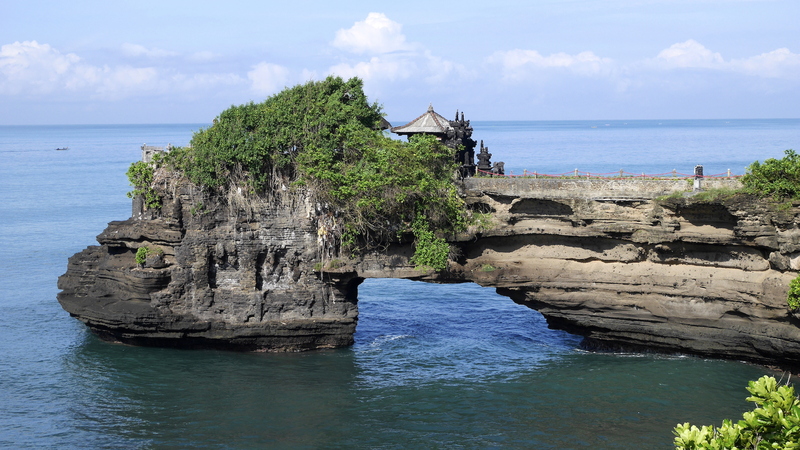 Our first destination was Tanah Lot temple, a place to worship Balinese sea gods. Tanah Lot means “land in the sea” in the Balinese language. The temple itself is located on a large rock just offshore. 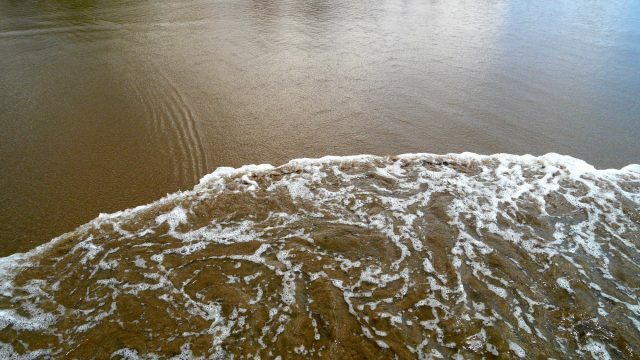 What is interesting is that you can walk over the sand to get to the temple during low tide, but during high tide, the temple looks stranded at sea. It is easily one of the prettiest things I’ve ever seen. I found a beautiful shell lined with mother of pearl while exploring the shore. Our guide taught us about the ocean god Varuna and water god Wisnu. Our next stop was Jatiluwih Green Land, a less crowded area full of rice paddy fields. 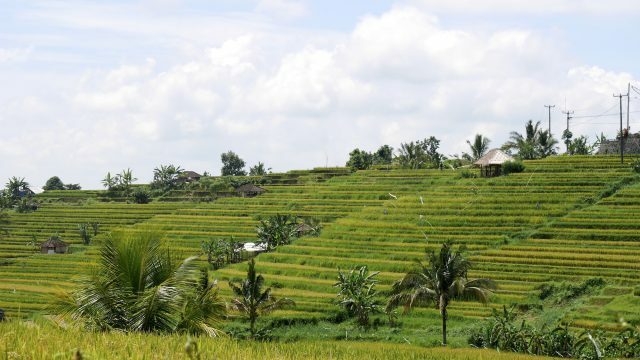 There are acres and acres of rich green fields, with step-like terraces to promote rice growth with proper irrigation. It was stunning. 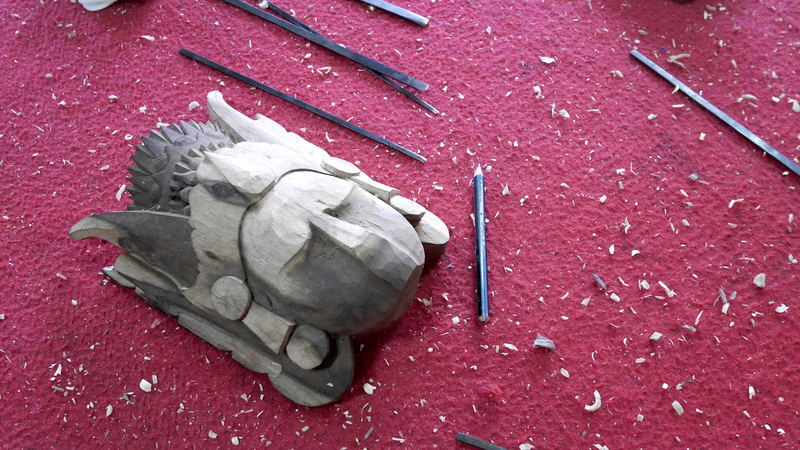 Wayan told us a little about the rice and fertility goddess Dewi Sri. 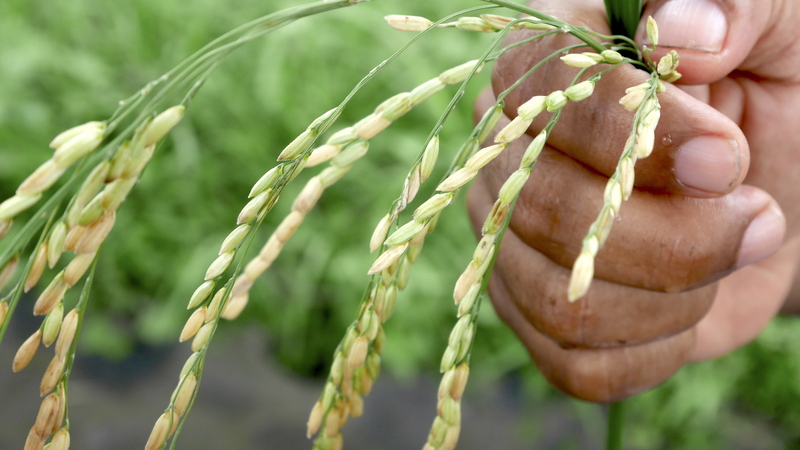 It was fascinating to see how rice actually grows, considering how much of it I’ve eaten in my lifetime. Learning about the source of things is so interesting to me. Next, We went to a local market to see different fruit and vegetables from the country. Then we visited the beautiful water temple Pura Taman Ayun, whose name means “beautiful garden”. 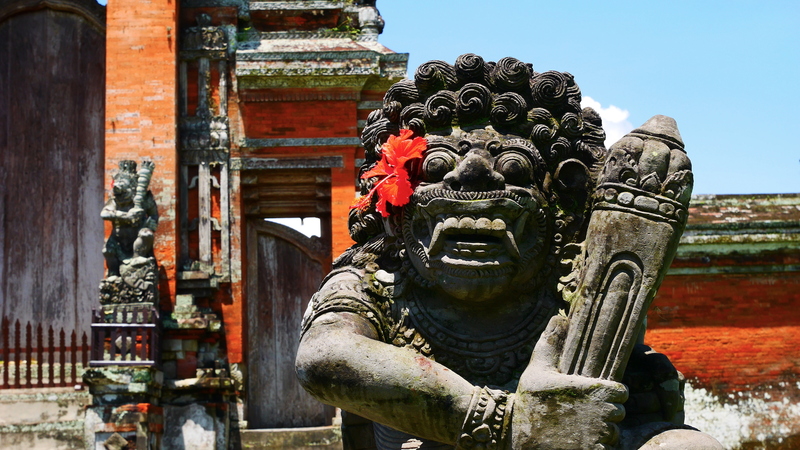 A Pura is a Balinese Hindu temple. The temple is surrounded by a moat and features many pagoda-like shrines. 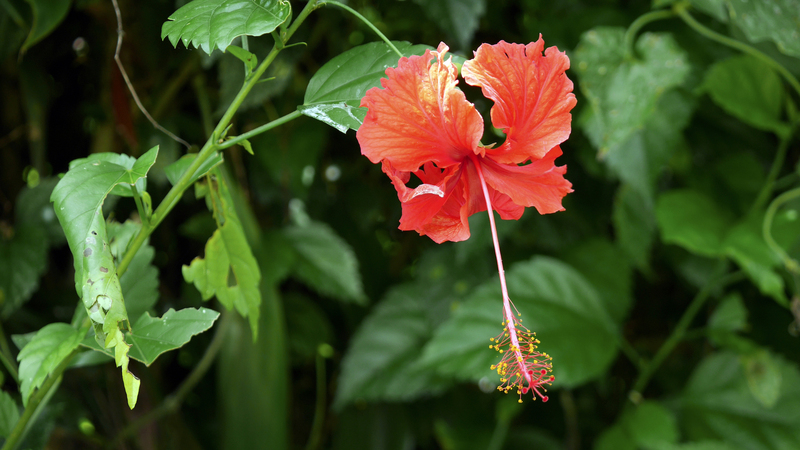 We stayed there for a while, walking around leisurely to absorb all its beauty. For lunch, our tour guide recommended a restaurant called Bebek Tebasari. 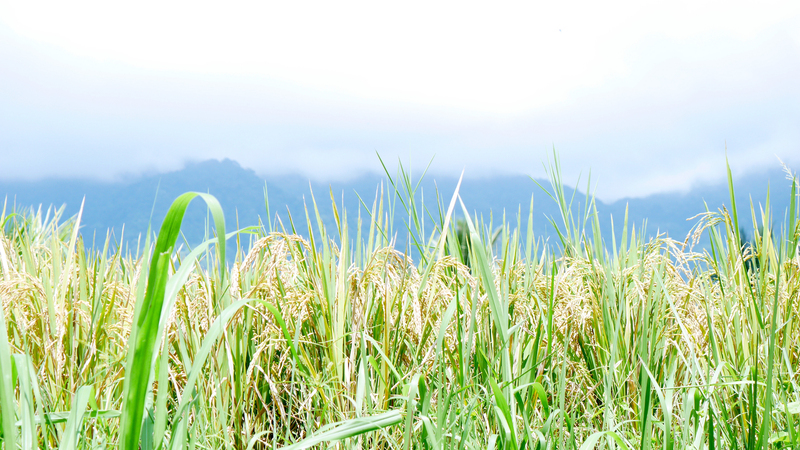 It is located in front of a small rice field. The food was tasty, although I tried their popular fried duck and didn’t really care for it. It is nothing against the restaurant; I have simply confirmed my suspicion that I’m not a lover of duck meat. 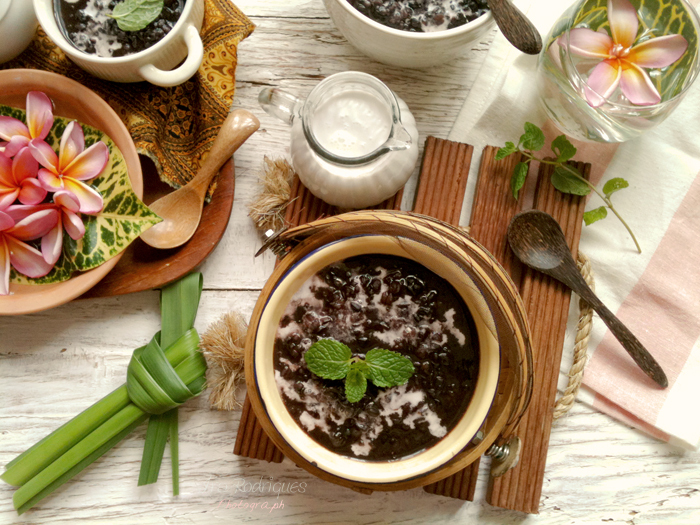 For dessert, we had a delicious black glutinous rice pudding called Bubur Injin, which is a traditional Balinese dessert made with black rice, sugar, and coconut milk. Our pudding was served warm with a scoop of vanilla ice cream. The pudding isn’t too sweet, so it went well with the cold sweetness of the ice cream. Here’s a recipe for it that I found in a Balinese desserts book while I was waiting at the airport on the way home. A popular Indonesian breakfast dish that is also enjoyable as a dessert. There are versions of this dish in other parts of Asia as well. Rinse both types of glutinous rice in several changes of water until the water runs clear. Soak overnight. In a saucepan, bring the glutinous rice, water, and pandanus leaves or extract to a boil over medium heat. Simmer uncovered for about 40 minutes, stirring occasionally until the rice is soft and cooked to a porridge-like consistency. Discard the pandanus leaves. Add the palm sugar and stir until it is dissolved. Reduce heat to low and simmer for about 5 minutes, then remove from the heat. Mix the coconut cream and salt in a bowl. Spoon the pudding into serving bowls and top with the salted coconut cream. Optionally, serve with a scoop of vanilla or banana ice cream. Black glutinous rice is a variety of glutinous rice found primarily in Indonesia. You can substitute it with normal glutinous rice, but the texture will not be the same. Covered and chilled, the pudding will last for 5 days. 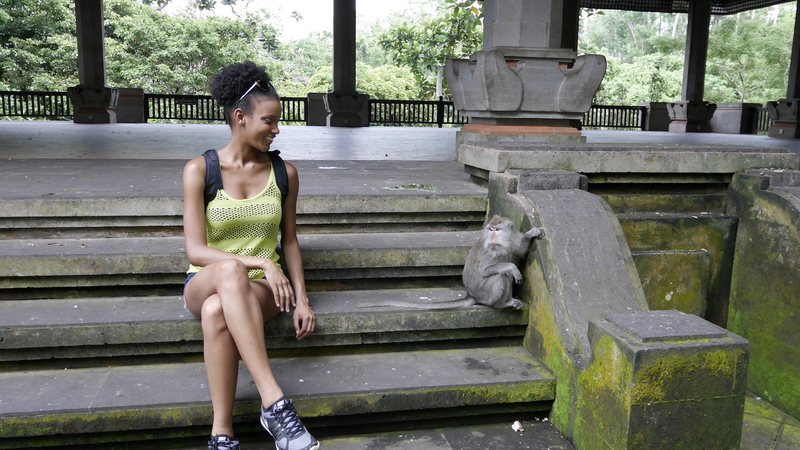 Next, we went to the Sacred Monkey Forest Sanctuary in Ubud. 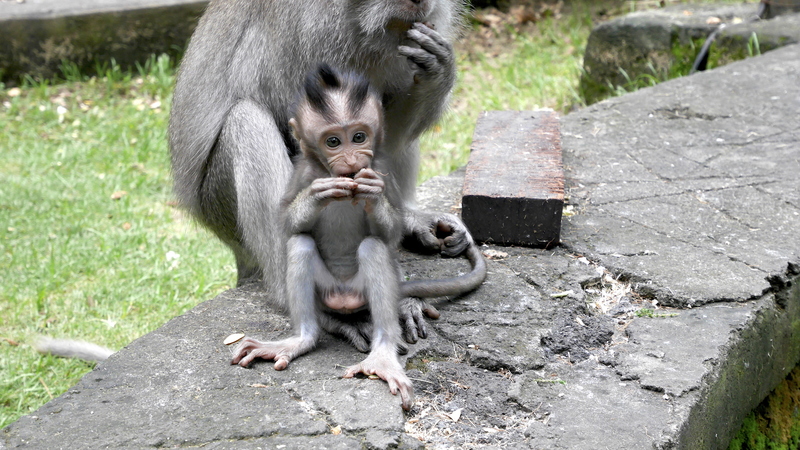 The sanctuary is home to hundreds of gray Balinese long-tailed monkeys (macaques). These beautiful animals are aggressively playful, jumping on people in search of food and wrestling each other in jest. 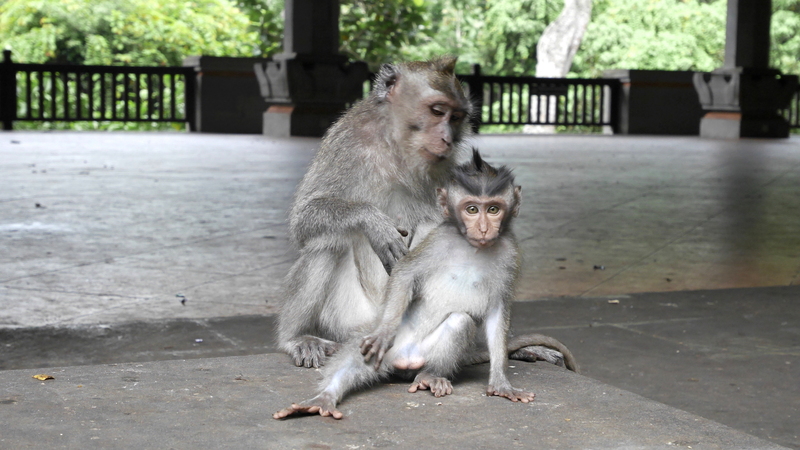 As soon as you walk into the forest, monkeys are in every direction: sleeping in the trees, eating food off the ground, people-watching on the steps, and climbing up the legs of many a brave human. The monkeys are small, just over a foot tall for the biggest ones I saw. 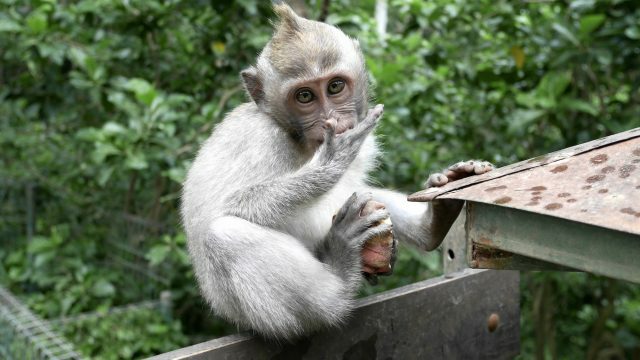 The infant monkeys are by far the cutest! 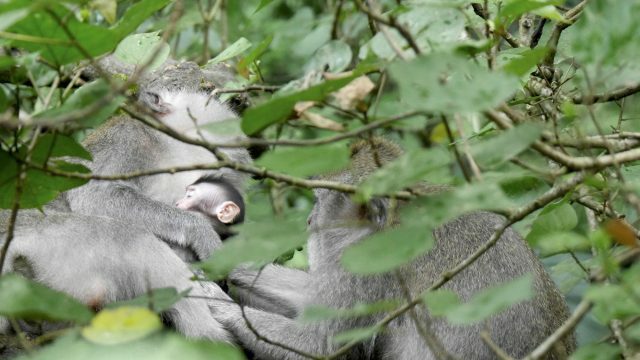 The mothers are very protective of their young, often grabbing their children and holding them under their bellies as they scurry away from threats. The monkeys mostly keep to themselves, but if you are carrying anything that looks remotely interesting, they will approach you. One started creeping towards me from about a yard away as I knelt on the ground to change my camera lens. I had to shout a stern “No!” for him to back off. Shortly after, another jumped on my left leg and stared at me as if he wanted something. I also gave him a “No!” and a firm leg shake. He jumped off right away and ran off. The sanctuary grounds are beautiful and vast, and since it was drizzling, we didn’t spend too much time there. I got some beautiful shots of monkeys eating, sleeping, and playing. 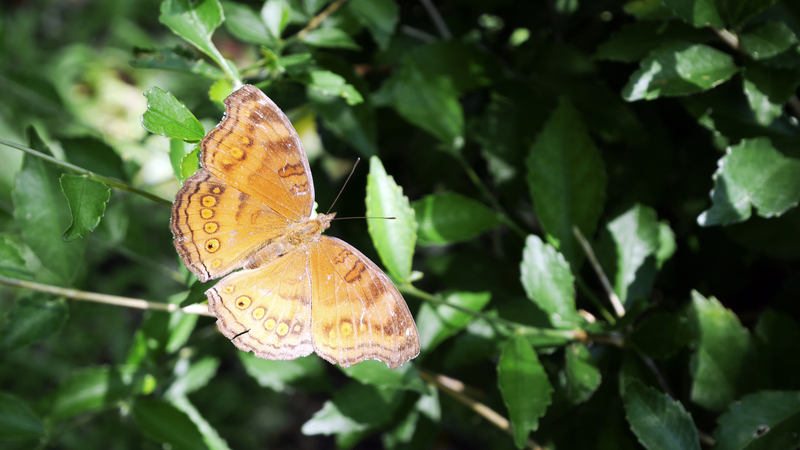 It was calming to watch them in the peaceful forest. 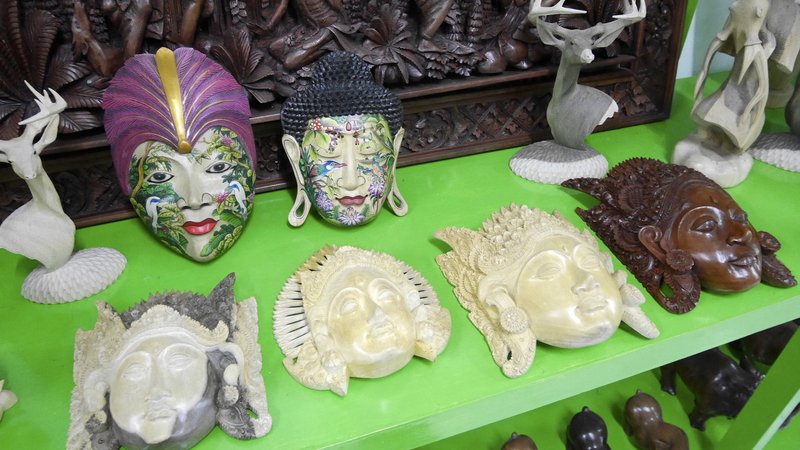 After leaving the sanctuary, we went to Indah’s Galeri in Mas Village so I could find a mask for my world collection. I spent probably an hour in the shop admiring all the beautiful handmade carvings. I got a hibiscus mask of the face of a woman in headgear that symbolizes a welcoming invitation into one’s home. I also got mom a colorful face of a female dancer. I also got a little elephant for good luck. A few of the masks that I fell in love with. I purchased the two on the left (the bottom one for me and the colorful top one for mom). 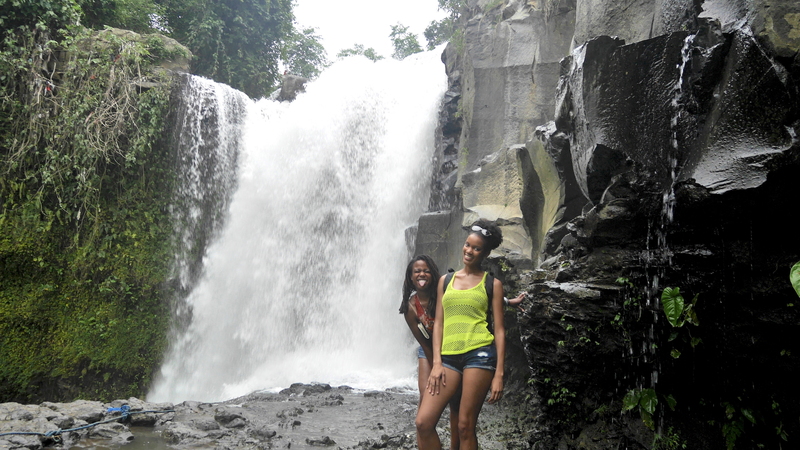 Our last stop of the day was Tegenungan Waterfall. It was a bit of a hike to get down to where the waterfall starts and even more work to get to the very bottom, but it was worth the journey. 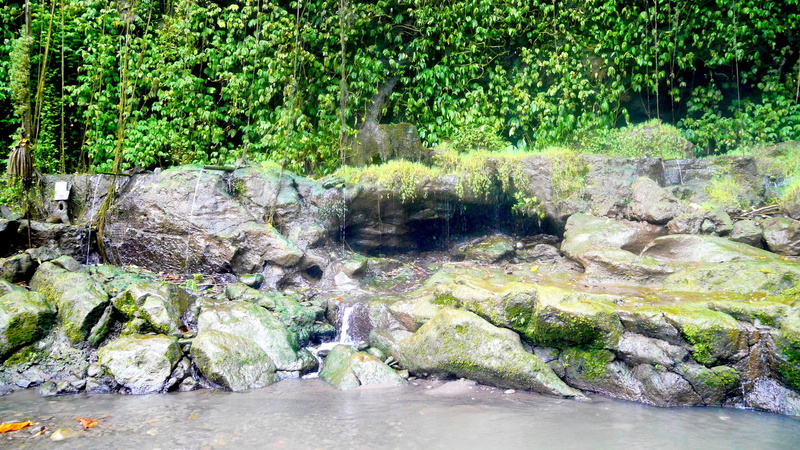 The water was beautiful and there was a heavy mist at the bottom. 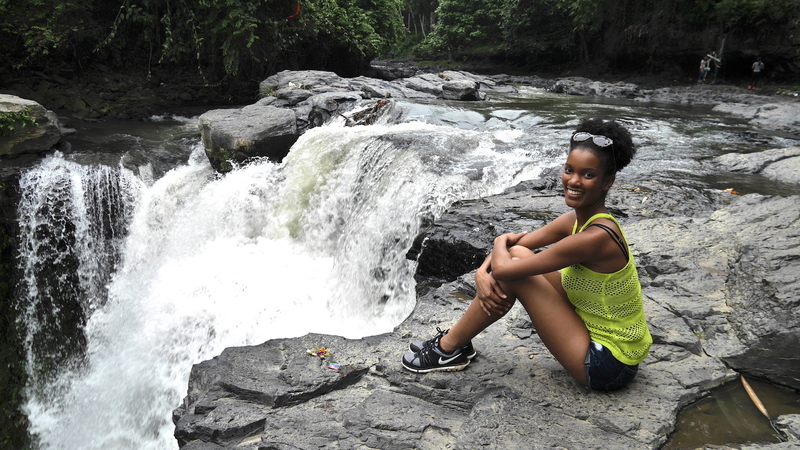 I don’t think I’ve seen a waterfall since Dunn’s River Falls in Jamaica many years ago. 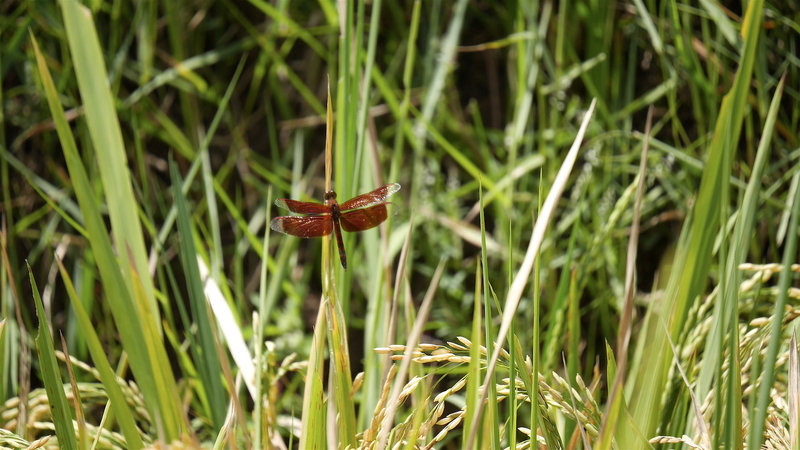 Now I’m eager to see them all over the world; they are so fascinating! The water looks both aggressive and graceful at the same time as it unwillingly flows off the rocks. To end the night, we went back to our hotel and said bye to our amazing tour guide. If ever you’re in Bali, I highly recommend getting a private tour guide!